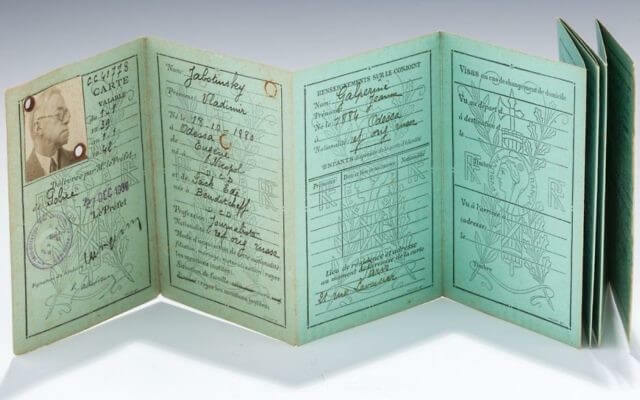 The personal identification card of the late right-wing Zionist leader Zeev Jabotinsky was auctioned this week in New York for $20,000 (NIS 70,000). The French-issued ID from December 1938 has Jabotinsky’s original photo and signature, lists his profession as a journalist and indicates he was a refugee from Russia. The card was valid from January 1, 1939, to January 1, 1942. 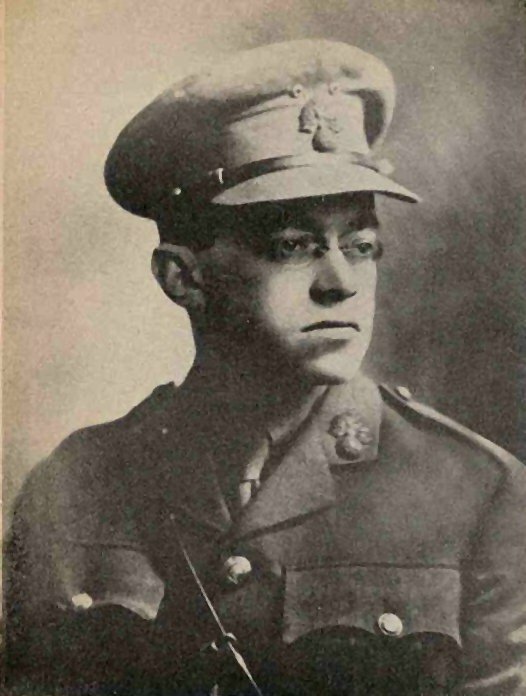 Jabotinsky was born in Russia in 1880 and died in New York in August 1940. During World War I, along with Joseph Trumpeldor, he founded the Jewish Legion of the British army, and after the war he was granted the status of Member of the Most Excellent Order of the British Empire for his service. He moved to British Mandate Palestine where he was elected to the first Assembly of Representatives. He founded a Zionist youth movement named Beitar, which is a Hebrew acronym for “Hebrew youth alliance of Joseph Trumpeldor.” He also founded the political party Hatzohar and was involved in founding the paramilitary group Irgun, which operated from 1931 until 1948. Jabotinsky was a mentor to, and a huge influence on, future prime minister Menachem Begin. The ID card was auctioned Tuesday by the J. Greenstein and Company auction house, based in Cedarhurst, Long Island. The ID card was the last item sold from the collection of Harriet and Dov Kaminetzky, sold by their children after their deaths. Many other Judaic objects were sold on the same day. Jonathan Greenstein, CEO of the auction house said.